Secretary of State John Kerry has arrived in Saudi Arabia to meet key Arab leaders, as he tries to build a coalition against Islamic State (ISIS) militants. 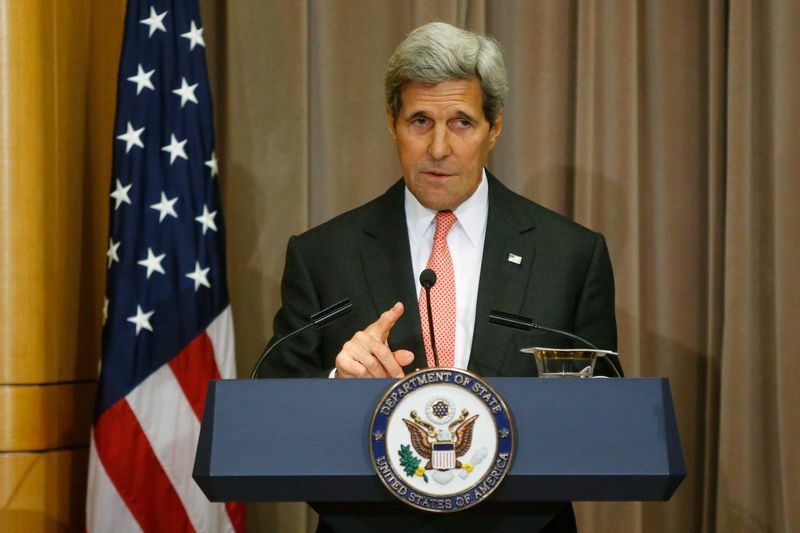 A US official was quoted as saying John Kerry would discuss co-operation in Jeddah to facilitate US air strikes. Earlier, President Barack Obama said he would not hesitate to take action against ISIS in Syria as well as Iraq. Barack Obama also announced that 475 US military personnel would be sent to Iraq but said they would not have a combat role. ISIS group controls large parts of Syria and Iraq after a rapid military advance. Its fighters have become notorious for their brutality, beheading enemy soldiers and Western journalists on video. The US has launched over 150 air strikes against the group in Iraq and has provided arms to Iraqi and Kurdish forces fighting against IS. John Kerry, who arrived in the Red Sea port of Jeddah on September 11, will hold talks with representatives of Saudi Arabia and other oil-rich Gulf states as well as Egypt, Jordan, Iraq, Lebanon and NATO member Turkey. “Many of the countries are already taking action against ISIL [Islamic State in Iraq and the Levant – the previous name for ISIS] ,” a State Department official was quoted as saying by the AFP news agency. Among the issues to be discussed would be training for Syrian rebels on Saudi soil and a wider over flight permission from regional states to increase the capacity of US aircraft, reports say. In a 15-minute speech shown at peak time in the US on September 10, President Barack Obama vowed that America would lead “a broad coalition to roll back” ISIS.